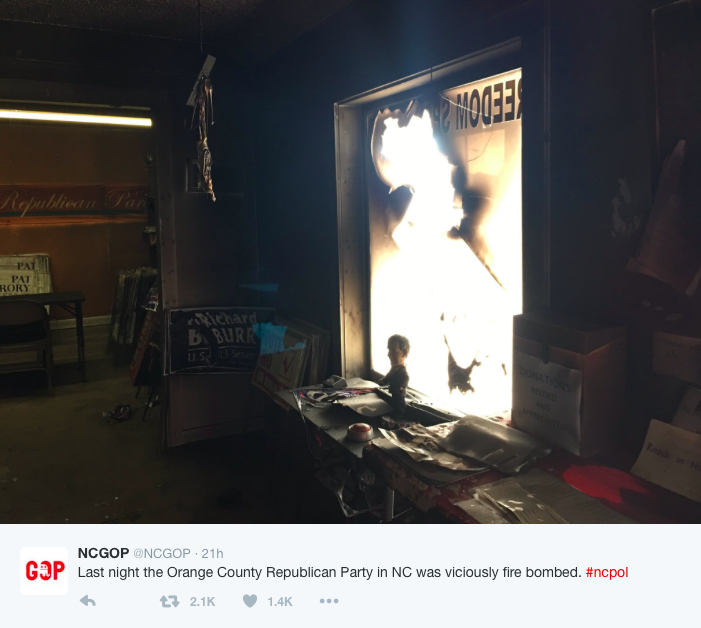 On Sunday, the GOP Headquarters in Hillsborough, North Carolina was reportedly destroyed after a molotov cocktail was thrown through their window and graffiti was sprayed on the side of their building. 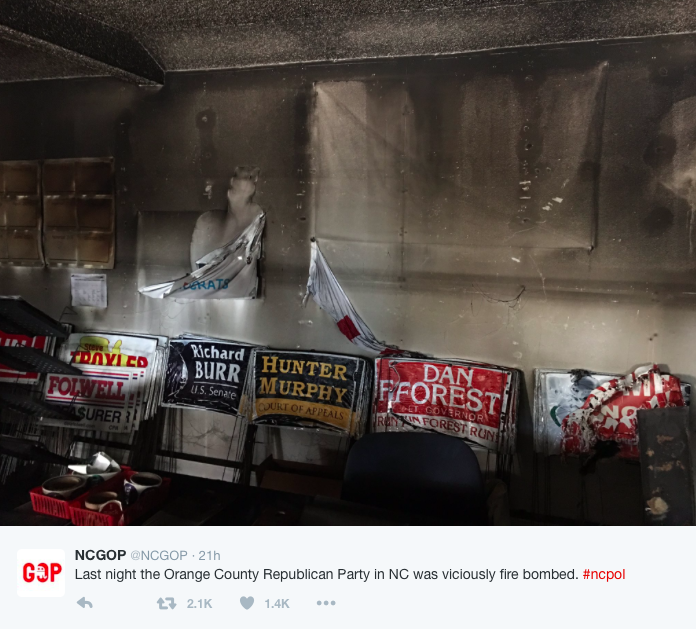 The Republican party headquarters was attacked just three weeks before the Presidential election. 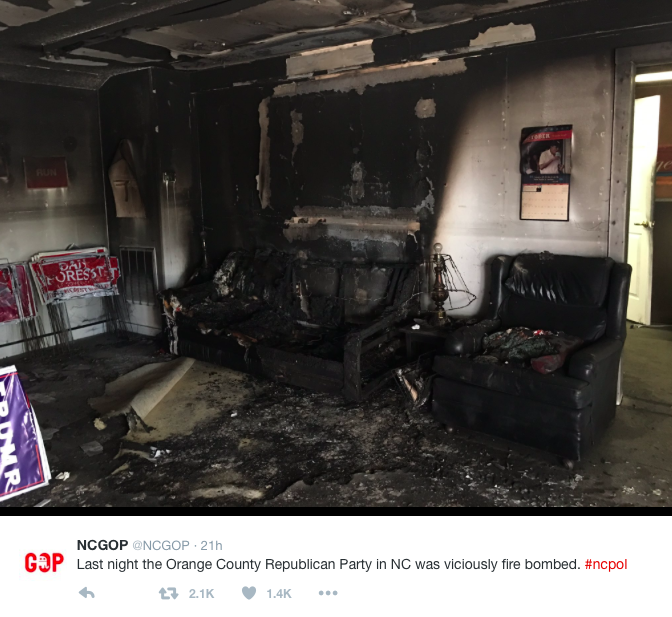 Hillsborough police stated they are working with the federal Bureau of Alcohol, Tobacco, Firearms and Explosives in the investigation. 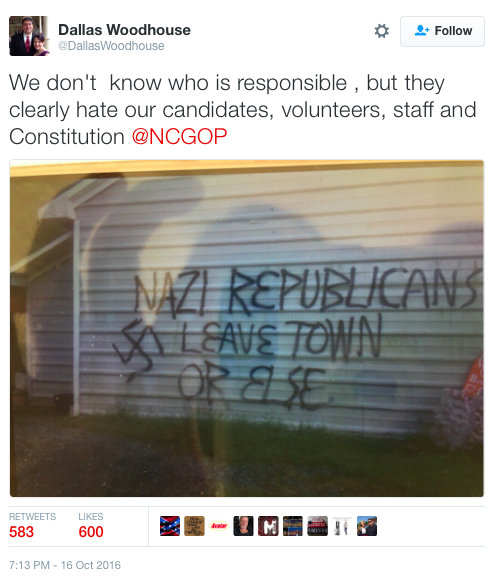 Along the side of the building in the shopping mall where the headquarters is located, the message “Nazi Republicans leave town or else” was spray painted on the outside of a nearby business. 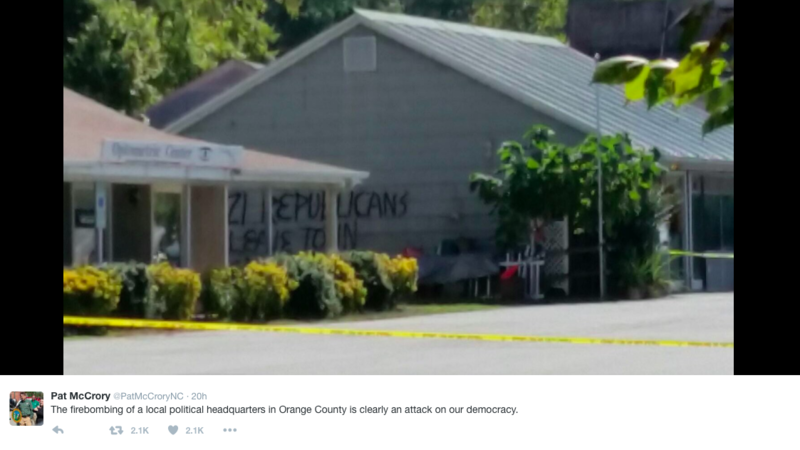 “Our law enforcement officials are responding quickly and thoroughly to investigate this reprehensible act and prosecute the perpetrators,” the statement continued. 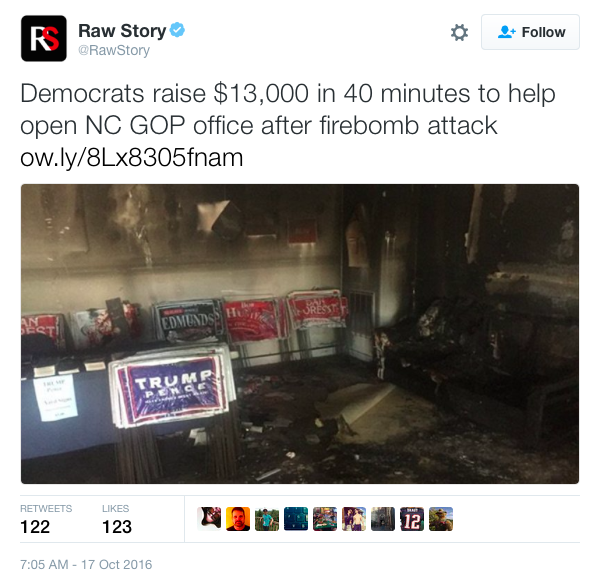 Since the attacks, democrats have raised over $13,000 to help their political counterparts.